For those of you who religiously read my blog, my apologies for being MIA this week. I have not had access to a computer and the "app" that I use on my phone to post has been acting up, so bear with me for a few more days. I am going to make this short and sweet! 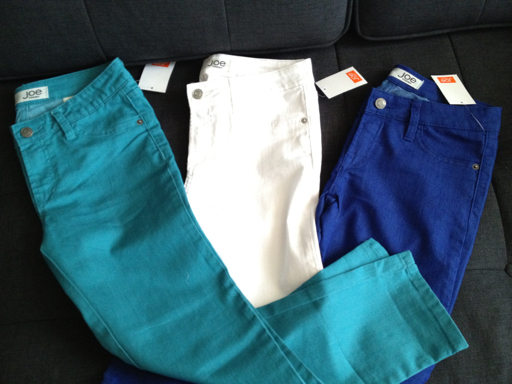 I found my new favorite store in NYC, Joe Fresh! I got a spring wardrobe makeover from this great store. 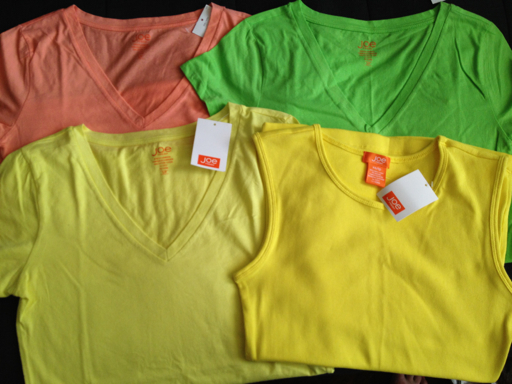 Joe Fresh is from Canada and only has a handful of stores in the US! Here are a few of my purchases that I can't wait to wear! 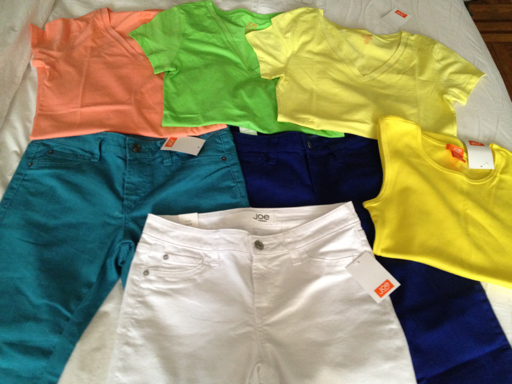 Color blocking and brights, here I come! Please stay tuned for next week's posts as I will share with you more of my favorite things and places to eat in New York!